George MacDonald’s reading today in a Diary of An Old Soul talks about engaging the enemy. But who is the foe? 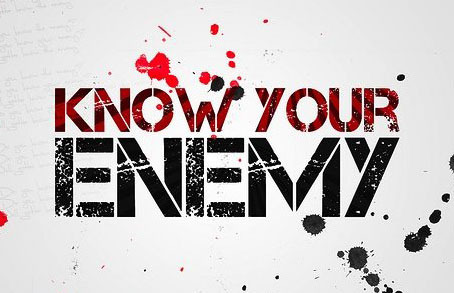 In this day of culture-warring where those who differ regarding theological, political or life-style issues are often called enemies, it is reasonable to ask, as a follower of Jesus, what is the war I am in and who is my enemy? 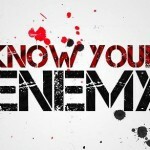 Who is the enemy Jesus has freed us to engage? First and most obviously, we are war with the ruler of the dark side, that spiritual being, Satan, the Devil and his legions of spirits who are evil principalities and powers. But there is another enemy. Jesus is declared to be an exact representation of God, (Hebrews) and as the word become flesh Jesus reveals God as full of grace and truth (John). So is not our second battle the one within ourselves concerning anything that is unloving or untrue? And isn’t the most obvious untruths we are to guard against are contemporary lies about the nature and character of God? In our pluralistic age, and in light of movements like the Jesus Seminar, it seems our biggest battle concerns who Jesus is, and as Eugene Peterson says in his introduction to Philemon, “Christians have always insisted on the historicity of Jesus—an actual birth, a datable death, a witnessed resurrection and locatable towns.” Even in this issue our enemy is the untruth about Jesus, not the person espousing it. It is easier to mobilize Christians around political and visceral hotly contested societal issues, but our real enemy lives in the attacks on the nature and person of Jesus Christ, and oddly, that seems a battle most Christians are woefully unprepared to engage. It has long perplexed me that we Christians are so easily drawn into pointless disputes with others. I see much of what’s “fought” over as mere distractions from Christ’s mission for our lives – to be living invitations to the foot of the cross. Thank you for this focus.